Robert Redfordis ready to relax after acting for nearly 60 years. The Butch Cassidy and the Sundance Kid actor is retiring from the show business and dished on his post-retirement plans while promoting his last movie. "I'll start with sleeping and then I'll get on a horse," the 82-year-old told E! News' Zuri Hallat the 2018 Toronto International Film Festival. His final project was The Old Man & The Gun, which featured an amazing ensemble with actors like Sissy Spacek, John David Washington and Casey Affleck. The comedy film was a good note to end on since the actor wanted his "last acting job to be fun." While people may expect some sadness at ending a decades-long career, Redford said, "I didn't see it as bittersweet, I saw it as fun." The iconic actor first announced he was retiring from the show biz in 2016, when he did an interview for the Walker Art Center with his grandson, Dylan Redford. It has been two years and the actor's claims have finally come to fruition as he wrapped filming on his final two films, as he promised in the interview. "I've got two acting projects in the works: Our Souls at Night, with Jane Fonda, a love story for older people who get a second chance in life, and [The Old Man and the Gun], a lighter piece with Casey Affleck and Sissy Spacek. Once they're done, then I'm going to say, ‘Okay, that's goodbye to all that,' and then just focus on directing," he shared at the time. 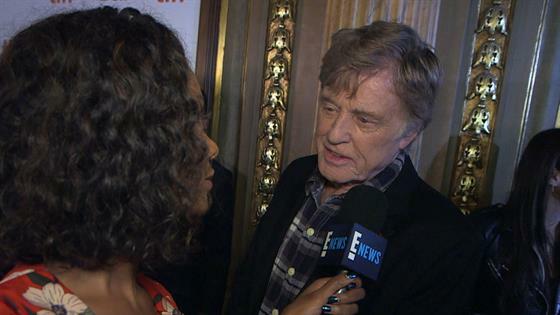 Most recently, Redford addressed his retirement in an interview with Entertainment Weekly. "Never say never, but I pretty well concluded that this would be it for me in terms of acting, and [I'll] move towards retirement after this 'cause I've been doing it since I was 21. I thought, Well, that's enough. And why not go out with something that's very upbeat and positive?," he revealed. Robert's retirement from the industry may mean fans will miss out on seeing the actor in future roles, but his previous work will more than suffice. During his time in Hollywood, the director has starred and directed in award winning films like Ordinary People, Out of Africa and, of course, Butch Cassidy and the Sundance Kid. He also is a founder of the the Sundance Institute and the Sundance Film Festival. It's safe to say that with a career as long and successful as his, he deserves the rest.